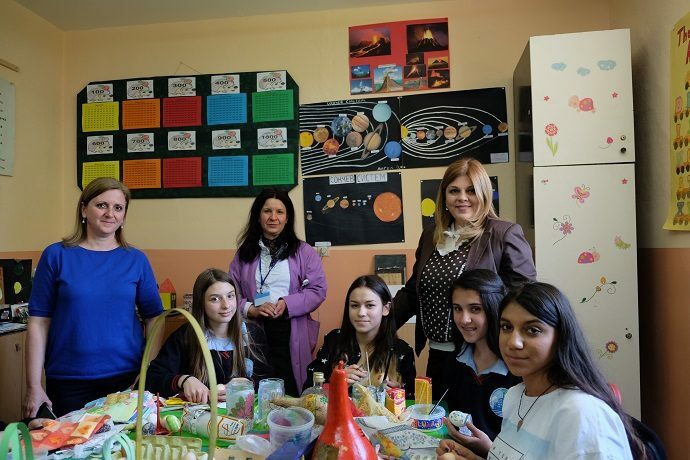 Support for civil society has been at the forefront of USAID assistance in Eastern Europe and Eurasia for more than 25 years – a region that is home to young democracies with long histories of communist rule. Our assistance has empowered local groups to serve as an effective check on government authority and to push for the advancement of economic, social and political reforms. Nearly all the recent democratic breakthroughs in the region have been the result of citizens uniting, self-organizing and speaking out. Again and again, civil society has proven itself to be the driving force for democratic change. Since I began my career with USAID’s Bureau for Europe and Eurasia 10 years ago, I have met with hundreds of civic activists working in the region. Their commitment and sacrifice never cease to inspire me. The future democratic development of each of their countries lies squarely on their shoulders. Their tenacity and dedication to their work tells me that they understand this as well. Here, examples from three countries with vibrant civil societies that have shown the capacity for transformative impact. 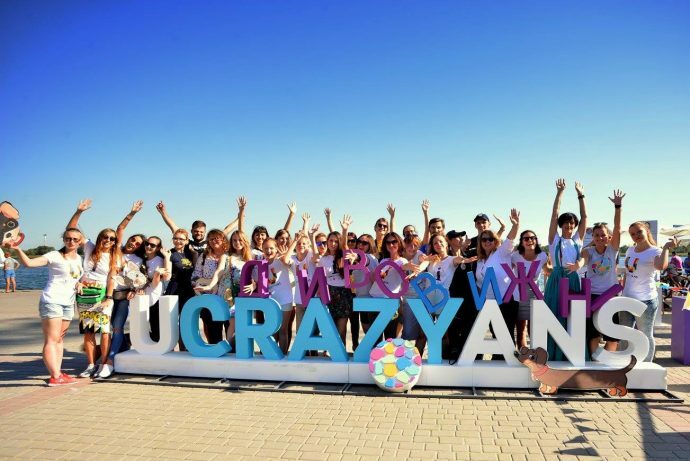 Since 2013, when just three founding members started recruiting neighbors for community clean-up projects, NGO Dyvovyzhni, or ‘Wonderful,’ has reached over 2 million citizens through an online campaign to promote personal responsibility and encourage citizens to promote positive changes within their communities. 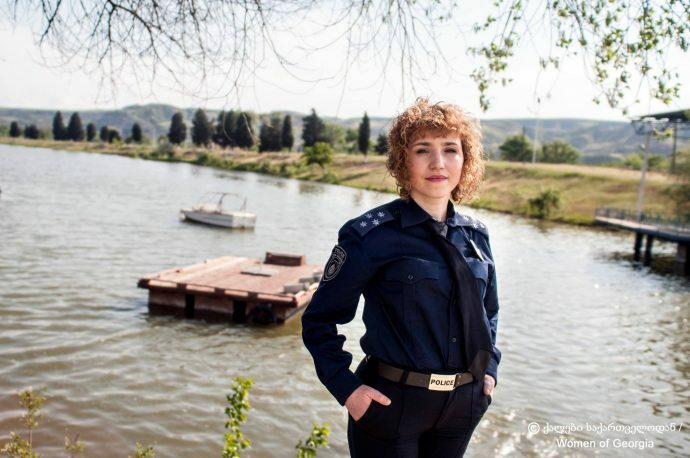 Dyvovyzhni created one of the first social ads demonstrating how small but meaningful changes, be it picking up litter, wearing a seatbelt or waiting at a crosswalk light, can have a big impact on the community. Its vision: helping Ukrainians promote social responsibility and democratic development from the ground up. The organization has helped connect 100 regional NGOs to exchange knowledge and experiences in promoting citizen activism. 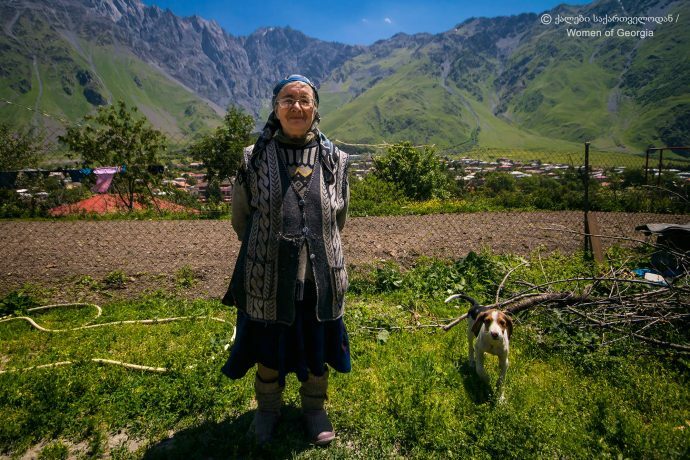 Traditional gender norms discourage many women in Georgia from engaging in civic activities, including those related to gender equity itself. The Women of Georgia initiative is addressing this very sensitive and polarizing issue head on. 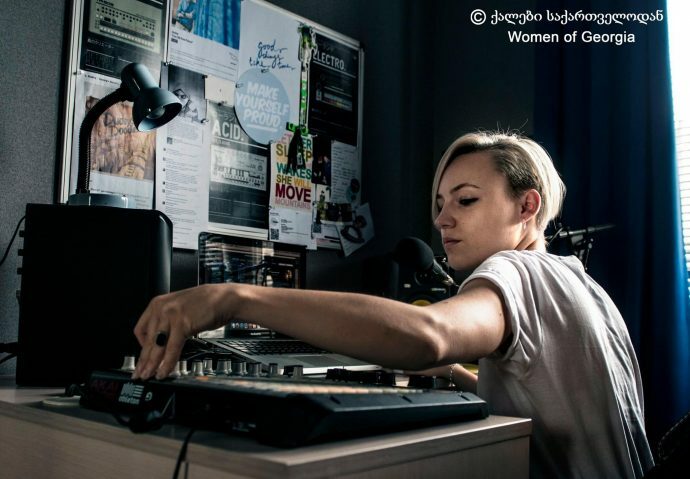 Launched in 2016 and modeled after the Humans of New York initiative, Women of Georgia features individual stories of Georgian women to demonstrate shared experiences, highlight women’s issues and showcase experiences that challenge traditional gender roles. The stories create buzz on gender issues and help pave the way for civic advocacy on gender related issues. Since its inception, Women of Georgia has featured more than 250 women of all backgrounds, including ethnic and religious minorities, women of different sexual and gender identities, women from rural and urban areas, women politicians, young women, elderly women and mothers of children with disabilities. The organization’s Facebook page-enabled platform has already generated more than 62,000 ‘likes’ and over 62,500 followers, and has reached more than 300,000 users weekly. This impressive social media reception demonstrates the relevance of this issue to Georgia and the need to address it head on. During the 1990s, Serbia’s civil society was internationally recognized for the crucial role it played in bringing about democratic changes in the post-Milosevic period. Since then, the efforts of Serbian civil society have often been overlooked. Yet civil society groups here provide extensive government oversight, despite decreasing space to engage in the legislative process and increasing attempts to discredit some organizations. One organization that epitomizes this resiliency is the Centre for Research, Transparency and Accountability, or CRTA. For more than 15 years, CRTA has been devising creative ways to increase the government’s responsibility to its citizens. It developed the first fact-checking portal in the entire region. Istinomer.rs, or the truth-o-meter, assesses the truth of public officials’ statements on important social and economic issues. Istinomer.rs has served as a model for dozens of similar initiatives throughout the region. Despite the risk to individuals advancing this highly politicized work, CRTA has expanded its work, earning the 2018 OSCE Democracy Defender Award for these efforts. These are just three examples of the transformative impact of civil society in advancing democratic reform in the Europe and Eurasia region. Countless more exist. Without their tireless efforts, sustainable democratic reforms would not be possible. 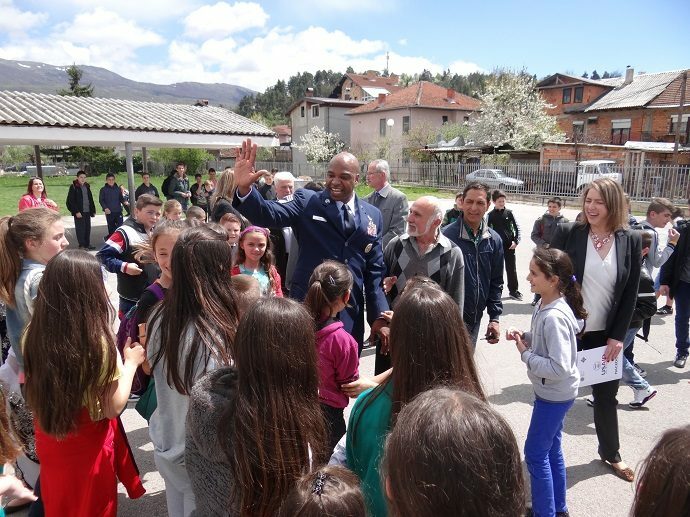 That’s why USAID will continue to support local heroes throughout Eastern Europe and Eurasia who dedicate their lives to building stronger democratic societies from the ground up. Libya’s Constitutional Drafting Assembly members and media professionals participate in a press conference to discuss the constitutional development process and key constitutional issues. What’s unfolding now in the dry, southern desert city of Sabha highlights how Libyans are developing institutions at the local level and how the fate of the more than 6 million Libyans is evolving. 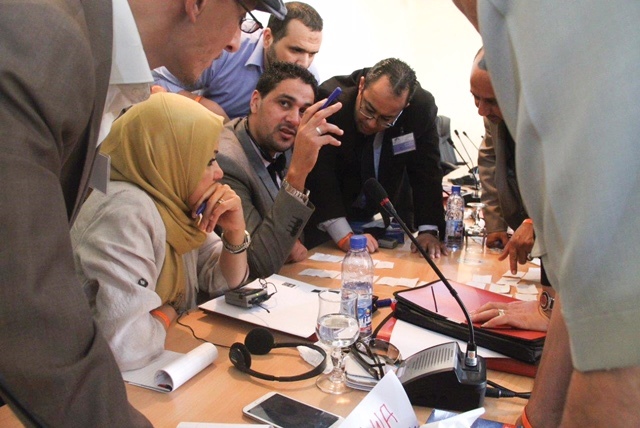 USAID supports consensus building for the national dialogue, constitution drafting and governing process in Libya. In another example, late last year we brought together 12 women municipal councilors representing the districts of Tripoli, Zawiya, Jabal al Gharbi, Benghazi and Wadi al Shati. 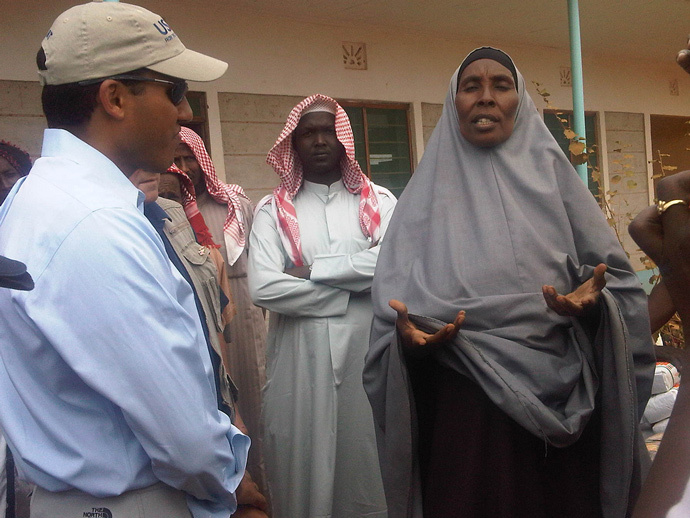 A participant of a gender and elections workshop engages men and women in discussion. Libyans want a legitimate and effective democracy in which individuals can live with freedom, dignity and opportunity. This is easy to agree upon. 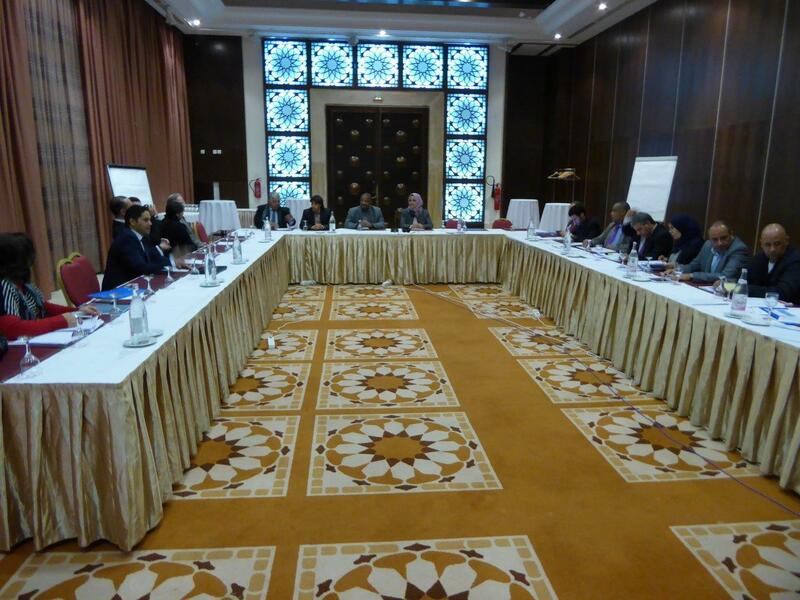 Jed Meline is the USAID Senior Development Advisor for Libya. 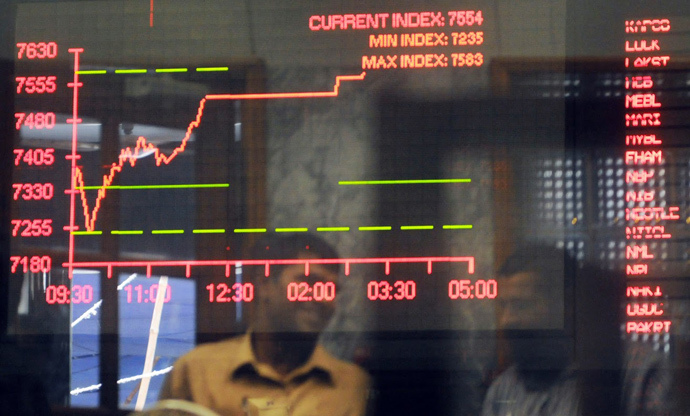 Sri Lanka held two elections this year that were markedly different from those in the past. Why? Nobody could predict the outcome. It was a true victory for democracy. 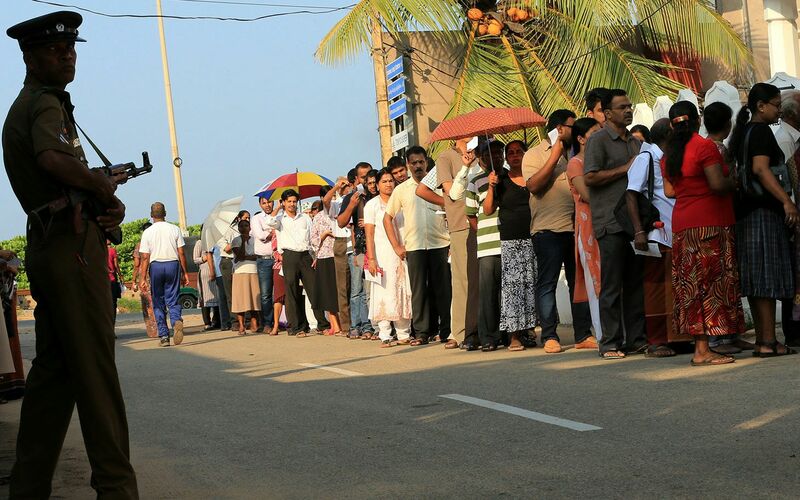 In the election for president in January, Sri Lankan citizens succeeded in making their voices heard, voting for an unconventional choice—a candidate who did not belong to any established political party. In August, parliamentary elections led to a coalition government instead of a majority party holding power. The news media framed the outcomes as a signal that citizens were voting against a history of nepotism, corruption and abuse of power. Turnout was high—at about 82 percent and 78 percent, respectively. International and domestic election monitors praised the elections as some of the most transparent and credible in the Asian region. But it hasn’t always been like this. In past elections here, we’ve seen violence, vote rigging and mudslinging. This year, we were impressed with how well organized the Sri Lankan election officials were and the level of planning and professionalism that made these elections a success. Sri Lanka has come a long way. USAID has supported this small island nation off the southern tip of India by investing in its economy, society and institutions since 1956. The cornerstone of our work this year has been supporting free and fair elections and a democratic transition. 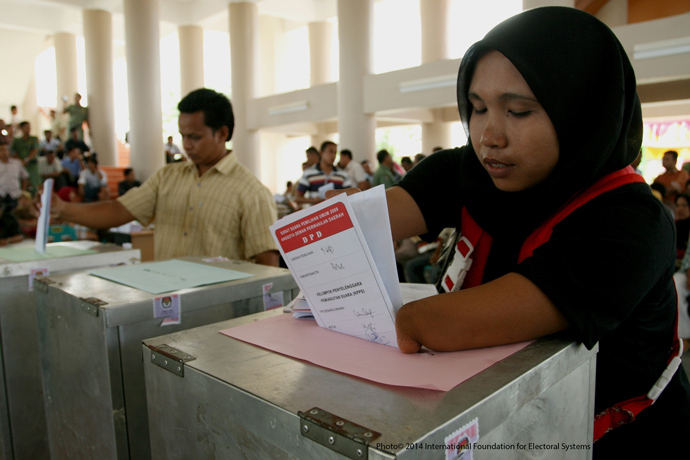 Our work has included training and deploying 15,000 election observers to oversee polls, providing mail-in ballots, establishing counting centers, and conducting workshops on electoral laws, financial management, and how to take security precautions and report elections violence at polls. During the parliamentary elections, we noticed how USAID-trained election monitors worked with polling officials and the police to immediately stop a political candidate from campaigning at a polling station on Election Day—a violation of electoral law. They took him away from the crowd of voters and brought the situation under control so well and amicably that no one seemed to notice. The election monitors also paid close attention to the dynamics in each of the voting districts. 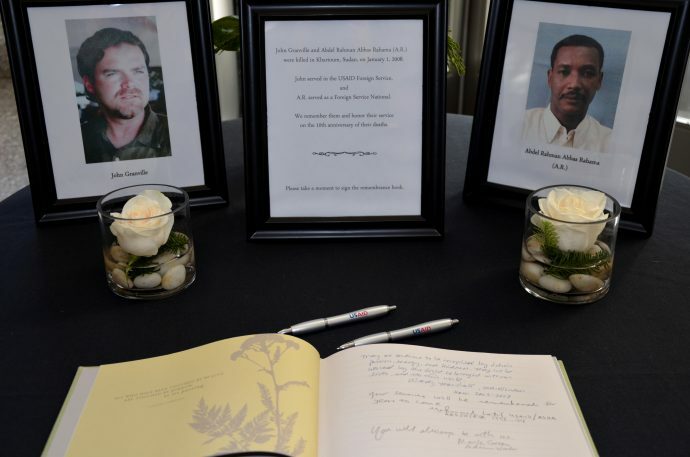 For example, in a district close to Colombo, they noticed a tense atmosphere—small groups of people were whispering to each other as they watched vehicles and passersby suspiciously. Keeping close watch, the election monitors asked police to be on hand in case of trouble. USAID has also supported the design and printing of an election observation handbook, a trilingual guidebook on the electoral process, and a braille pamphlet on the electoral process for the visually impaired. We’ve supported voter education, helping vulnerable families register to vote and obtain necessary identification documents. During the August elections, the law appeared to be enforced equitably, irrespective of the wealth and status of candidates and voters, and election violations were addressed quickly. Invalid votes were low compared to previous years. Thanks to newly enforced election regulations, government institutions and the state media took a more neutral stance, showing less bias to the ruling party, a common practice in the past. Government institutions were mandated to remove political billboards and posters and reduce the number of rallies and people who canvassed homes. And in the weeks leading up to the elections, more Sri Lankans stayed informed by hearing from political candidates directly on social media platforms instead of depending only on the traditional news media. The nation and the region can learn from the practices of the 2015 elections. We fervently hope to see these practices in future elections. Anil Liyanage and Angelina Hermon are Foreign Service Nationals working with USAID in Sri Lanka. Passanna Gunasekera, a Program and Outreach Specialist working with USAID in Sri Lanka, contributed to this blog. Today, in honor of World Refugee Day, USAID recognizes the strength and resilience of the more than 60 million people around the world who flee war, persecution, and human rights abuses in pursuit of safety and stability. The world is facing an extraordinary time of conflict and crisis— the number of refugees and displaced persons globally is at its highest point since World War II. The International Organization for Migration (IOM) estimates that 90,000 refugees seeking safer, more prosperous shores have risked their lives crossing the Mediterranean by boat in 2015. World Refugee Day marks an opportunity for the international community to recognize the plight of these uprooted families across the globe. This year’s theme is ‘Get to Know a Refugee – Ordinary People Living through Extraordinary Times.’ The goal is to remind us that refugees are just like everyone else, that their borderless status is not the only thing that defines them. As many advocates and international development professionals know, more than anything refugees seek normalcy – whether it is a traditional meal that reminds them of home or ensuring that their children continue their education. A mission trip working with Haitian refugees in the Dominican Republic inspired my own personal identification and commitment to refugees. After witnessing the social exclusion and instability that new refugees face, I knew that I wanted to help them re-establish their lives. With the resolve to protect the human rights of refugees, I became a resettlement caseworker for the International Rescue Committee (IRC), a USAID partner dedicated to serving refugees. As a member of the reception team, I was the first point of contact for refugees arriving in the United States. I greeted refugees at the airport, helped them settle into their new homes, and connected them to vital social services. I learned that refugees have two stories: one of their past and one of the future they dream of. Both are incredibly unique and complex. Understanding their background stories helped me bridge their worlds together. I remember taking the bus with one of my clients to show him his travel route home. As a young refugee from the Near East, he told me his friends couldn’t believe he made it. His mom didn’t sleep for the two nights while he traveled to America. He had watched a lot of American movies and he said that he felt like he was living in one. Although he had been in the United States only four days, he already visited a friend several hours away to prove that he could get lost and find his way back. Like myself, he left home at 17 to pursue his education and career, and had an insatiable sense of wanderlust. As we shared our hopes for the future, we were colleagues, compatriots, and comrades. I encouraged him to not give up, because even with an education, achieving success in the U.S. takes patience and perseverance. Although it has been many years since I personally greeted refugees with the IRC, their stories continue to influence my work in international development. USAID is working around the world to support refugees by giving them dignity and opportunity as they regain normalcy in their new lives. From Syrian refugees in Jordan to Rohingha refugees in Bangladesh, USAID equips families with the resources and support they need to meet their basic needs despite the extraordinary struggles they face every day. The civil war in Syria has resulted in the world’s largest refugee population. 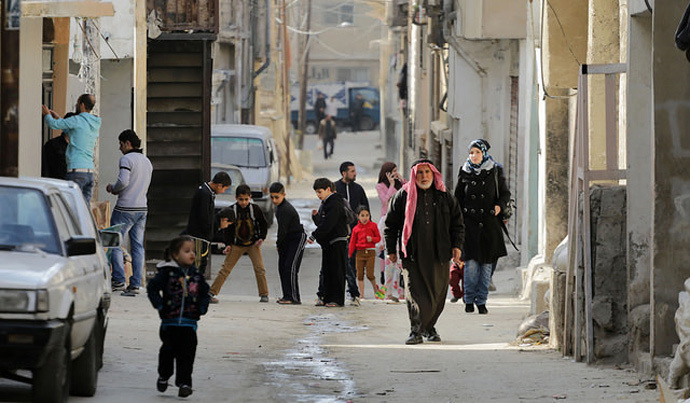 Since 2011, more than four million Syrians have been displaced to neighboring countries. Through innovative food assistance programs USAID is providing electronic vouchers and regionally purchased food to refugees. With access to local ingredients, refugees can cook traditional meals—a small comfort that helps them feel more at home in an unfamiliar environment. In Thailand, USAID is working with the IRC and other partners to provide long-term health programs for as more than 100,000 Burmese refugees. More than two million people from Burma have been displaced due to political instability and human rights violations. The USAID Support to Health, Institution Building, Education, and Leadership in Policy Dialogue (SHIELD) project provides access to essential health services and education for migrants, refugees, and other displaced persons living on the Thailand-Burma border. As we work to end extreme poverty, our Agency is committed to ensuring that every person, everywhere, feels safe, protected, and has the opportunity to thrive. Helping refugees and ensuring they are able to regain quality lives across the world is critical to this mission. Jennifer S. Kim, Program Support Specialist in USAID’s Center of Excellence for Democracy, Human Rights, and Governance (DRG Center). Learn about our support for families affected by the conflict in Syria. Read about how we’re bringing education to Syrian refugee children. Learn about our support for Burmese migrants. Follow @USAIDDRG, @USAID_DCHA and @USAID. It should be self-evident that election access for voters with disabilities cannot be reduced to the installation of a ramp or the addition of a Braille ballot. Nor can effective participation in the political life of one’s country be reduced to election-day ballot casting. Persons with disabilities must be accommodated in all facets of political and public life. This requires attention to the entire election cycle and the multiple elements within that cycle that hinder or enhance accessibility. In the United States during the 2000 elections, voters with disabilities who required an accessible voting machine were able to position their wheelchairs comfortably under the machine and easily reach it. The problem? The ballot provided in the machine in one polling location was a sample—proffering George Washington and Thomas Jefferson as candidates. In Armenia during 2007 elections, the head of a leading non-governmental election observer group welcomed the proposal to include observers with disabilities on observer teams. The problem? He advised that they could participate in morning observation only, suggesting they would be too tired to work into the evening. 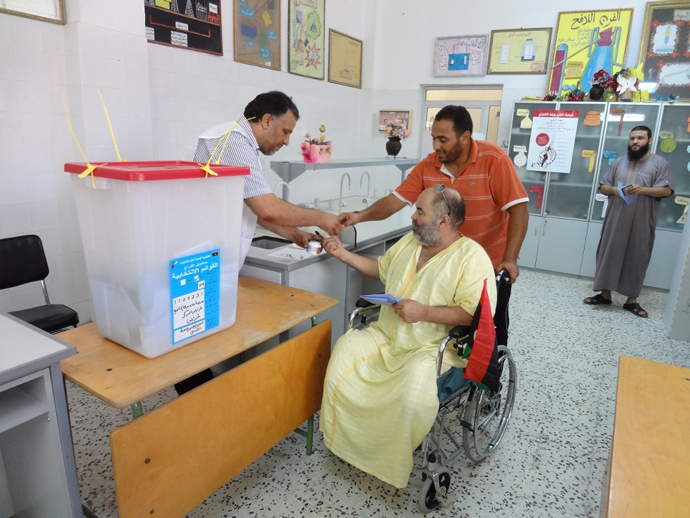 In Jordan, voters with disabilities requiring assistance of any kind had to declare their need for assistance at the polling center. The problem? In order to receive any kind of assistance, they had to declare themselves illiterate and sign a declaration to that effect prior to receiving disability accommodations. And then, they could “whisper” their candidate choice into the ear of an election official who would mark their ballot. In each of these examples, disability rights organizations engaged in legal advocacy to effect changes in law, policy and practice. U.S. Government support played an important role in these efforts, as did, of course, the expertise of persons with disabilities. The legal landscape is complex, and the expertise of disability rights organizations to engage in law and policy advocacy in the sphere of electoral law, policy and procedure is limited. 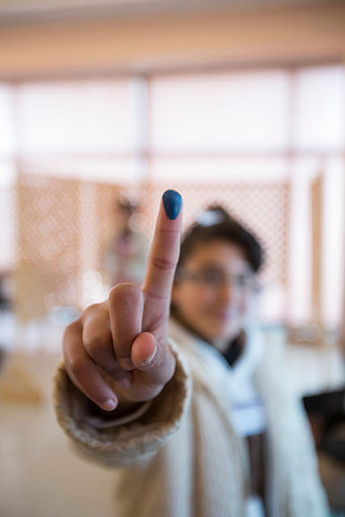 To address this knowledge gap, USAID is supporting development of a new module, entitled “Elections and Disability Rights” designed to train election stakeholders. This program—“Building Resources in Democracy, Governance and Elections” (BRIDGE)—is a global curriculum developed by the Australian Electoral Commission, International IDEA, International Foundation for Electoral Systems (IFES), United Nations Development Programme and the United Nations Electoral Assistance Division. Practices from around the world show that it is possible to break down barriers and include persons with disabilities in all stages of the electoral cycle. Beyond voting, persons with disabilities can be positioned as voter educators, election commissioners, poll workers, observers, monitors and candidates. The USAID-funded Equal Access: How to Include Persons with Disabilities in Elections and Political Processes manual aims to provide local and national governments, international organizations, civil society groups, development professionals and donors with the tools and knowledge to strengthen the political participation of persons with disabilities in elections and political process programs so they have a greater voice in decisions that impact their welfare and communities. Janet E. Lord, Janos Fiala, Michael Stein, Facilitating an Equal Right to Vote for Persons with Disabilities, J. Human Rights Practice (2014). USAID’s policy on Advancing Disability-Inclusive Development. I am pleased today to announce the release of USAID’s policy on Development Data, known as Automated Directives System 579 (ADS 579). In an era of unprecedented openness in government, ADS 579 is USAID’s first ever open data policy, providing a framework for systematically collecting Agency-funded data in a central repository, structuring the data to ensure usability and making the data public, while ensuring rigorous protections for privacy and security. USAID has long been a data-driven and evidence-based Agency, but never has the need been greater to share our data with a diverse set of partners—including the general public—to improve development outcomes. For the first time in history, we have the tools, technologies and approaches to end extreme poverty within two decades. And while many of these new innovations were featured at our recent Frontiers in Development Forum, we also recognize that they largely rely on an ongoing stream of data (and new insights generated by that data) to ensure their appropriate application. Defines a data clearance process to ensure that USAID makes as much data publicly available as possible, while still affording all protections for individual privacy, operational and national security, and other considerations allowable by law. USAID is committed to treating its data not simply as an output of Agency efforts, but as precious “development capital” that can best serve the global good when widely shared. In fact, based on the results of our recent survey, we know that stakeholders from around the globe are already using USAID’s open data to improve development outcomes. One organization in Kenya is using this data to target needy areas for enhanced agricultural training; an international organization is creating visualizations of aid flows to specific countries—down to the street corner level—to better understand the scope of our efforts; another is promoting additional research by linking health and livelihood outcome data to environmental variables. As President Barack Obama noted in his remarks at the third anniversary of the Open Government Partnership, the United States is accelerating efforts to enhance transparency, including the development of digital services in the open. 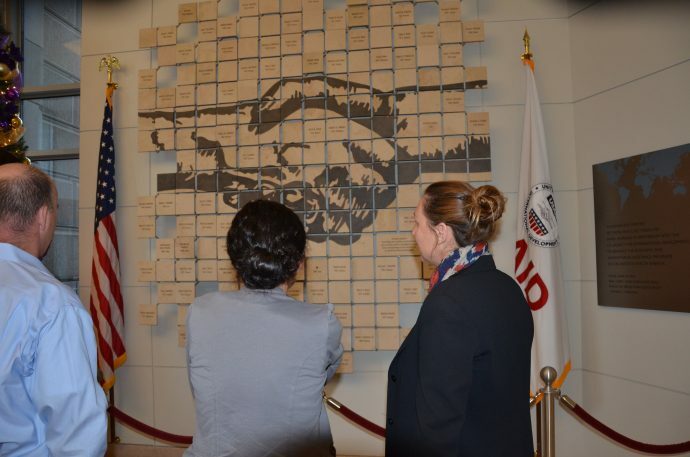 USAID is committed to remaining at the forefront of these efforts, and we look forward to engaging you in the process. Have questions about the policy? Please post your question on StackExchange where we can provide a response for public benefit. Also please feel free to download our fact sheet [PDF, 139kB] or to contact us at opendata@usaid.gov. Angelique M. Crumbly is the Assistant Administrator for USAID’s Bureau for Management. Brandon Pustejovsky is Chief Data Officer at USAID. Follow him @bpushed. 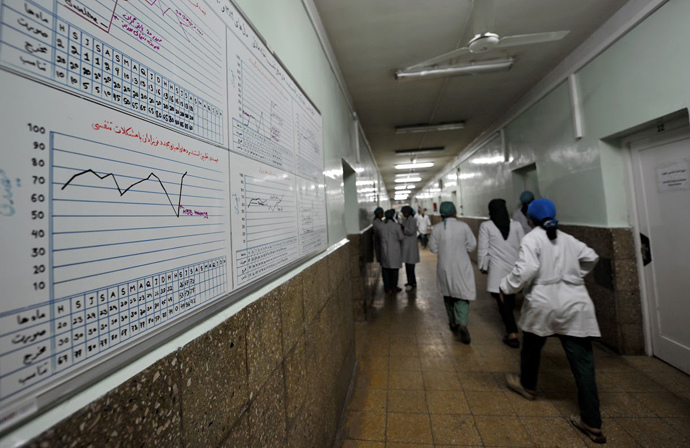 Find an ever-growing repository of USAID data at USAID’s Development Data Library. General (non-technical) questions about our data? Post your question to StackExchange. Technical questions or bug reports? Please visit our feedback page on GitHub. Did you know that USAID has application programming interfaces (API) for some of its key data assets? Find out more at our Developer Resources page. He referenced a newly issued Presidential Memorandum that directs U.S. agencies abroad to support civil society in several ways and announced a groundbreaking USAID initiative, in collaboration with the Sweden International Development Agency (SIDA) and the Aga Khan Foundation, to establish Regional Civil Society Innovation Centers that build connections among civil society organizations by providing resources, tools, and knowledge. Civil society plays an important role in building stable, robust democracies and in protecting the rights of marginalized populations. At the same time, it remains an easy target for governments resistant to change. USAID has become increasingly concerned in recent years as governments adopt more laws that restrict activities of civil society and continue to harass, detain and imprison civil society activists. Tom Carothers of the Carnegie Endowment describes this closing space phenomenon as the “new normal,” which is why the President’s call to action is both timely and necessary. Build and strengthen civil society transparency, accountability and effective governance. Having travelled to Jakarta from Sri Lanka, I understood well the tensions and challenges that USAID faces in these environments. Sri Lanka was once a robust democracy but then suffered 25 years of brutal civil war. In the aftermath of the conflict, the government has sought to restrict NGOs they view as “political” by intimidating activists and imposing arduous legal regulations. USAID’s response applies our three-pronged “prevention, adaptation, and support” approach in closing spaces: prevent the introduction of restrictive legislation; adapt to government efforts that make our existing operations difficult; and commit to continued support, financial or otherwise, for organizations that work in development, reconciliation and human rights. 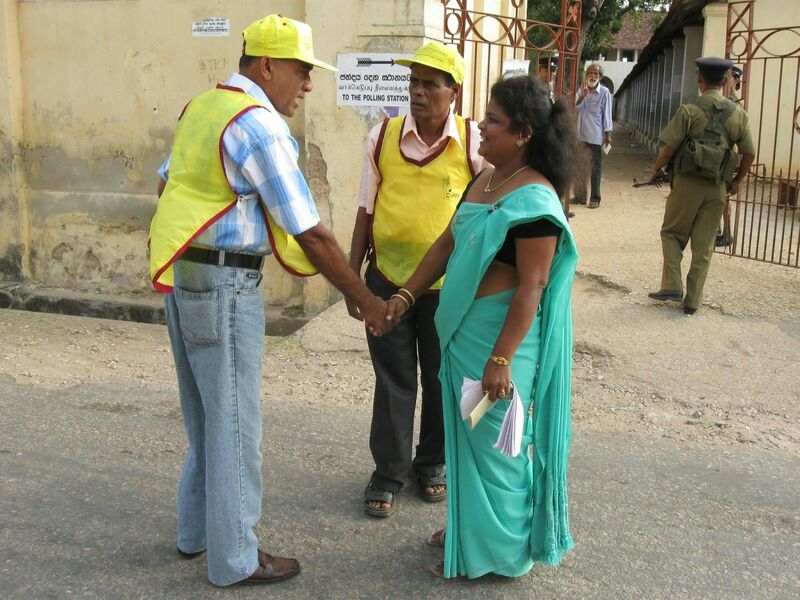 In Sri Lanka today, many of the organizations that USAID supports are leading the effort to counter government plans to adopt a restrictive NGO law and to highlight concerns about security force intimidation that is affecting their operations. We are also funding programs that work with CSOs to ensure that they can continue serving their communities and advocating for human rights, even as government intimidation increases. And, we intend on continuing to support civil society, even after we transition in 2017 from a full mission to a limited presence country status program. In Cambodia, USAID’s Development Innovations lab is connecting civil society, technology and social enterprises to provide physical space, expertise and catalytic programming to a number of groups and initiatives. The lab is involved in several activities, including teaching girls to utilize computer code in preparation for an international competition and assisting agriculture organizations to develop better monitoring apps. Via another project in Cambodia, USAID is funding the creation of mobile phone apps that allow Cambodians to read, text and chat in Khmer, their national language, as well as in Cham, the minority language. The U.S. is the largest supporter of civil society in the world, having invested more than $2.7 billion to strengthen civil society since 2010. As we continue to face grave challenges around the world, USAID will ensure that, when it comes to civil society, our financial investments are matched by our political commitments, and that we utilize both our presence in the field and technological innovations to support inclusive and accountable democracies that advance freedom, dignity and development. Despite being the majority of the population of many of the countries in which USAID operates, youth are frequently excluded from the political process, due to members of older generations who expect subservience and offer no respect to youth voices. Studies have shown that not effectively engaging disaffected youth can result in instability in communities and nations in the long term, and foment unrest that may ultimately hinder – not assist – the advancement of peace and democracy. If not engaged in efforts to advance positive change, youth can easily lose faith in the democratic process, become disillusioned or apathetic, vulnerable to extremist groups or gangs, and, in the worst case, become perpetrators of violence. However, strengthening youth capacity will enhance their resilience and their communities. Investing in young people will also pay sustainable returns; youth may indeed be the primary hope for a reform-minded leadership. This was noted by President Barack Obama, who launched the Young African Leaders Initiative (YALI) in 2010 to support young African leaders as they work to spur growth and prosperity, strengthen democratic governance, and enhance peace and security across the continent. USAID is working to incorporate youth through strengthening youth programming, participation and partnership in support of Agency development objectives, as well as integrating youth issues and engaging young people across Agency initiatives and operations. 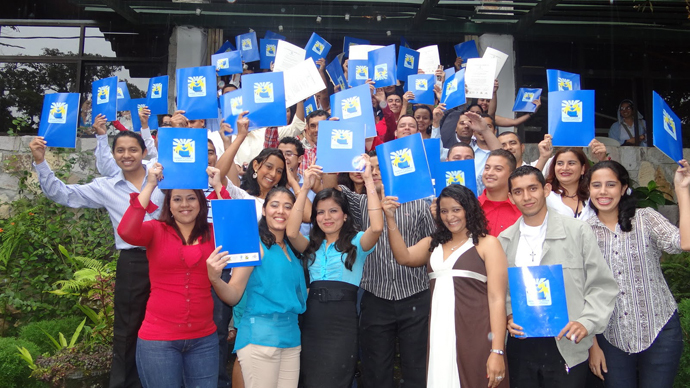 In Nicaragua, USAID’s Young Civic and Political Leaders Initiative, implemented by National Democracy Institute (NDI), supports a Certificate on Leadership and Political Management program which equips young Nicaraguans with skills and knowledge to govern effectively and become community leaders. The program specifically aims to create a space where youth representing different political ideologies and from different backgrounds can come together to learn about democratic leadership. In East Timor, USAID’s Youth Radio for Peace Building (YR4PB) project, implemented by Search for Common Ground, is aiming to transform the way in which youth engage with government and community leaders to promote peace and reconciliation, and prevent election-related violence through civic education, leadership training and media programming. In Kenya, USAID’s Inter-Party Youth Forum, implemented by NDI, is promoting inter-party youth leadership and engagement through working with political parties, and nominated party youth to establish the Inter-Party Youth Forum (IPYF). The Youth Forum focuses on clean elections, implementation of youth provisions in the constitution, and campaigning against negative ethnicity. To date, the IPYF has expanded to the country level, engaged more than 1,500 youth through outreach sessions, held a national youth peace conference attended by 950 young people, and conducted a peace campaign around the 2013 election. 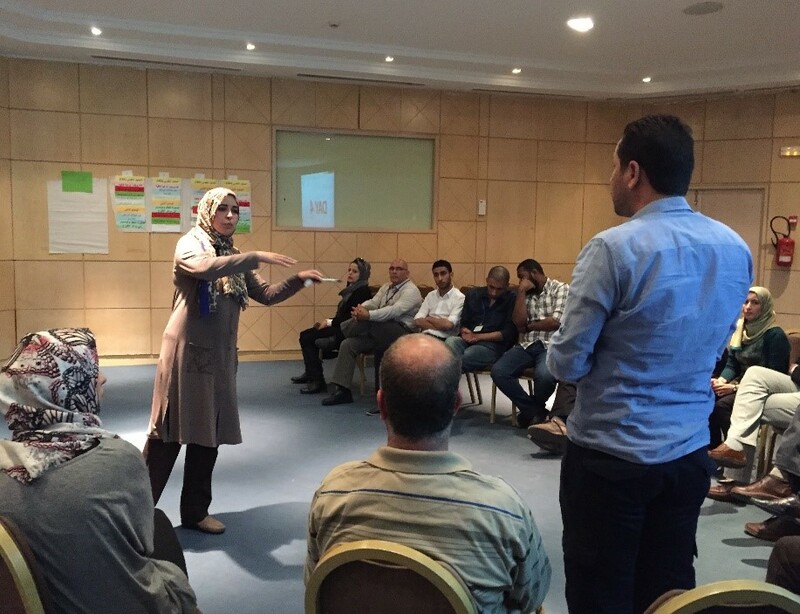 In Egypt, USAID’s LEAD-Women and Youth Program, implemented by Creative Associates, is a $1.3 million project with the objective to encourage and support the active participation of women and youth in political dialogue and debate. This includes during key transitional democratic processes through voter education, civic outreach and the establishment and expansion of civil society advocacy networks. As USAID continues to adapt our democracy, human rights and governance programs to the changing global context, we remain committed to continuing to empower and support young people to become active, engaged and passionate leaders and democracy supporters. Jessica Benton Cooney is the Communications Specialist for the USAID’s Bureau for Democracy, Conflict and Humanitarian Assistance in the Center of Excellence on Democracy, Human Rights and Governance. Read more about how USAID is empowering youth to become future leaders here. To read more about President Obama’s Young African Leadership Initiative (YALI), click here. For USAID’s Youth Policy, look here.